The Extensible Web Summit is taking place in Berlin today because Web Components are that important. I wish I could be there, but I’ll make do with the live notes, the IRC channel, and the octothorpe tag. I have conflicting feelings about Web Components. I am simultaneously very excited and very nervous. That’s probably a good sign. If Web Components work out, and we get a kind emergent semantics of UI widgets, it’ll be a huge leap forward for the web. But if we end up with a Tower of Babel, things could get very messy indeed. We’ll probably get both at once. The exciting thing about Web Components is that they give developers as much power as browser makers. The frightening thing about Web Components is that they give developers as much power as browser makers. You can see those principles at work with newly-minted elements like canvas, audio, video where fallback content can be placed between the opening and closing tags so that older user agents aren’t left high and dry (which, in turn, encourages developers to start using these features long before they’re universally supported). You can see those principles at work in the design of datalist. You can see those principles at work in the design of new form features which make use of the fact that browsers treat unknown input types as type="text" (again, encouraging developers to start using the new input long before they’re supported in every browser). When developers are creating new Web Components, they could apply that same amount of thought and care; Chris Scott has demonstrated just such a pattern. Switching to Web Components does not mean abandoning progressive enhancement. If anything they provide the opportunity to create whole new levels of experience. I make something (to solve a problem). Others copy and paste what I’ve made. Most of the time, that’s absolutely fantastic. But if the copying and pasting happens without critical appraisal, a lot of questionable decisions can get propagated very quickly. Many other mobile browsers now support this tag, although it is not part of any web standard. Apple’s documentation does a good job explaining how web developers can use this tag, but we had to do some detective work to figure out exactly how to implement it in Fennec. For example, Safari’s documentation says the content is a “comma-delimited list,” but existing browsers and web pages use any mix of commas, semicolons, and spaces as separators. Anyway, that’s just one illustration of how code gets shared, copied and pasted. It’s especially crucial during the introduction of a new technology to try to make sure that the code getting passed around is of a high quality. I feel kind of bad saying this because the introductory phase of any new technology should be a time to say “Hey, go crazy! Try stuff out! See what works and what doesn’t!” but because Web Components are so powerful I think that mindset could end up doing a lot of damage. Web developers have been given powerful features in the past. Vendor prefixes in CSS were a powerful feature that allowed browsers to push the boundaries of CSS without creating a Tower of Babel of propietary properties. But because developers just copied and pasted code, browser makers are now having to support prefixes that were originally scoped to different rendering engines. That’s not the fault of the browser makers. That’s the fault of web developers. With Web Components, we are being given a lot of rope. We can either hang ourselves with it, or we can make awesome …rope …structures …out of rope this analogy really isn’t working. I’m not suggesting we have some kind of central authority that gets to sit in judgement on which Web Components pass muster (although Addy’s FIRST principles are a great starting point). Instead I think a web of trust will emerge. 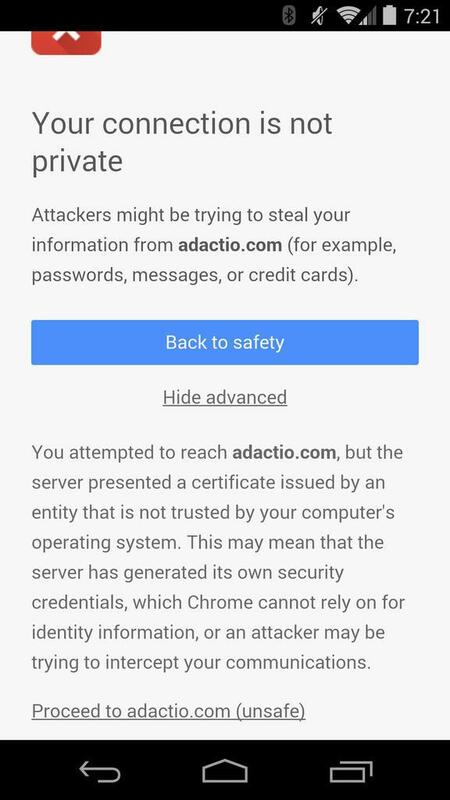 If I see a Web Component published by somebody at Paciello Group, I can be pretty sure that it will be accessible. Likewise, if Christian publishes a Web Component, it’s a good bet that it will use progressive enhancement. And if any of the superhumans at Filament Group share a Web Component, it’s bound to be accessible, performant, and well thought-out. Because—as is so often the case on the web—it’s not really about technologies at all. It’s about people. And it’s precisely because it’s about people that I’m so excited about Web Components …and simultaneously so nervous about Web Components. @adactio That was great, Jeremy. Thanks for writing it. 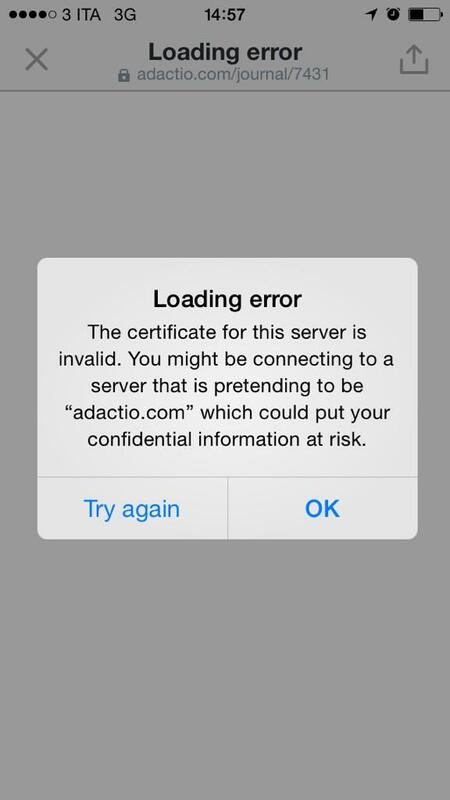 @adactio I’m seeing similar warnings to @tkadlec in Safari and Twitter on iOS… will check again later today. @adactio I’m similarly excited and nervous too. My hope is that we’ll get some new cow paths that can be paved with native functionality. @adactio <core-animation>, <brick-flipbox>, <x-layout>. Mixing presentation into content - what could possibly go wrong? @adactio Thank you for the reference. Will have to read it properly. Is good to know that solutions are looked up on this.